We’d love your help. 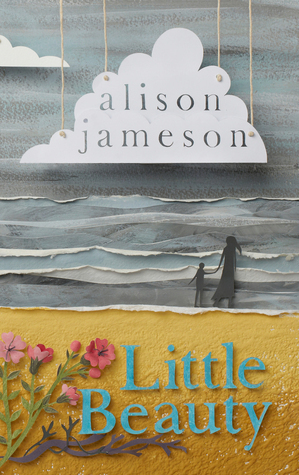 Let us know what’s wrong with this preview of Little Beauty by Alison Jameson. 1975: Laura Quinn has spent her life on the remote and beautiful Inis Miol Mor – Whale Island– off the west coast of Ireland. After the death of her parents, and faced with the continuing reluctance of her lover, Martin, to marry her, she realizes she needs to leave the island for her life really to begin. She accepts a job as a housekeeper with a wealthy couple on the main 1975: Laura Quinn has spent her life on the remote and beautiful Inis Miol Mor – Whale Island– off the west coast of Ireland. After the death of her parents, and faced with the continuing reluctance of her lover, Martin, to marry her, she realizes she needs to leave the island for her life really to begin. She accepts a job as a housekeeper with a wealthy couple on the mainland. But a year later, Laura is back, and this time she is not alone. She has at last found the love of her life: a baby son named Matthew. But what sort of life can an unmarried mother have on a remote Irish island in the 1970s? In this complex situation is revealed a picture of a tightly knit community where Laura inevitably comes under pressure to conform to the rules of society. To ask other readers questions about Little Beauty, please sign up. Laura Quinn is another woman, who had to give up It is hard to tell about the extent of a mother's love, at what length and at what level she can go to protect her own children. Laura is in her late thirties and beware, most of the time you might confuse with Laura's age, since she is still unmarried, still in a courtship, still can have affairs , still can develop crush on strangers! Well, Laura collects seaweeds, and lives by the bay of Inis Mór, a.k.a, The Whale Island, in a little white teakwood house. Left orphaned by her parents at tender age, Laura has learnt to lead her life alone and knows very well to take care of her solitude. He is in a relationship with the light-house keeper, named, Martin, of the island. But when she accepts the job of a housekeeper of a rich family in the mainland, it makes Laura uncertain of her future with Martin, thus embarking towards her newly found bright future, where she meets Audrey and Finn- a couple, who were the owner of the house where she is hired as the house-keeper. Their warmth and love make Laura more jealous of her own future, thus striking up a fling with Finn behind Audrey's nose on the very first day of her visit to their house. But after she returns on the island, she falls pregnant, and soon she finds herself standing on the cross-roads, where her one single decision will decide the course of her future. Will Laura hold on to her son, Mathew, till the very end? Will she give a chance to Martin, the light-house keeper? Will she grow old happily? From the book cover itself to the book's blurb, the book sounds so beautiful and heart-touching. Indeed it was a heart-touching experience for me. Who could have said, that the woman whom I hated in the beginning of the book, I would fall hard for her in the end? Not only I fell in love with her, but also I absorbed all her emotions with myself and cried along on her sorrowful journey. The author has got a lot of flair as well as talent to make her book not only compelling but also emotionally gripping and from the first page itself, I found myself moving on along on the footsteps of Laura. Not only was her style of writing wooed me, but also her descriptions and narration of her protagonist as well as the other characters were brilliantly striking. The set-up was even more wonderful, in such a solitary island, from the sea to the air everything sounded so peaceful, heart-wrenching, lonely yet beautiful, I could even smell the salty air on my lungs. In such a small island, very few people used to reside on the island, and I loved the concept about how everyone ended up in the island even after leaving the island for the rest of their lives. The people and Laura's neighbor were too fickle minded, when it was Laura's good time, everyone supported her and when she was in bad waters, everyone discouraged her or either hated her and bad-mouthed about her character. Although till the very end, Laura never had a good reputation in the island, but still she never gave up her life and bade good-bye with a jolly heart and with no regrets. But still her situation in the island and of her condition made me cry, her mother's heart was so weak, yet so strong, Laura is really a good mother-an epitome, you can say. Finn is a confused character for me, he doesn't say much or feel much in the beginning, but in his death bed, he realized whom he loved more. Martin was a good father and good husband, who loved Laura a lot and was quite sweet. The whole plot revolved around Laura's life after she gave birth to her son, Mathew and how she coped with the loss. A very fascinating story, which really ticks your brain to think about a mother's gaping hole in her heart and how much a mother can give up for her own child's happiness. There were indeed so many things to learn from the book and so many uneventful incidents happening around Laura's life, will finally fill your heart with sympathy for this solitary woman. Little Beauty by Alison Jameson tells the story of 38 year old Laura Quinn who having lost both her parents has come to a crossroads in her life. Laura's home on a remote island of the coast of Ireland has become like a gold fish bowl and they only thing that keeps her there are the visits to her lover Martin at the light house, but Martin has his own ideas on marriage and Laura makes her decision to find a better life on the mainland. This is a very well written novel as the prose is fresh and compelling and the author blew me away with her exquisitely described landscapes, at times you could almost feel the spray of the sea in you face and the harshness of island life in the late 1970s. The remoteness of the island is so well written that you feel the isolation and the hardship of the people as they struggled to hold on to their way of living and yet have a purpose and life for their children. I found that Alison Jameson captures an image of the 70s in Ireland that was so real and well researched. I found myself writing down sayings and descriptions of home life that I had forgotten existed from my childhood and I loved how this book gave me back these memories and feelings. Its great to be reminded of simpler times, of flares and platforms and Black and white kitchen floor tiles, cuckoo clocks and good old Charlie perfume, I think we must have all smelt the same. The story itself is well told and the characters are interesting and well fleshed out. An easy and interesting read and look forward to this authors next book. I really wanted to love this book more than I actually did. I loved the setting but the overall feel of the book was depressing and made for a heavy, emotional read but still one I’m glad I read. It is set in 1975 on a remote Island off the west coast of Ireland. Laura Quinn, who was orphaned at a young (unspecified) age leads a fairly isolated, bleak life there. She has a sort of partner, the not-so-lovely Martin, who is happy to make love to her but doesn’t want her to stay overnight in case sh I really wanted to love this book more than I actually did. I loved the setting but the overall feel of the book was depressing and made for a heavy, emotional read but still one I’m glad I read. It is set in 1975 on a remote Island off the west coast of Ireland. Laura Quinn, who was orphaned at a young (unspecified) age leads a fairly isolated, bleak life there. She has a sort of partner, the not-so-lovely Martin, who is happy to make love to her but doesn’t want her to stay overnight in case she gets notions of planting her feet under his table. I know where I’d plant my foot! Martin with his sexist attitude drove me mad at the start of the book, I had to keep reminding myself to put it in context, this was 1975 Ireland. Laura is in her late 30s but I had to check back on that fact a few times, she reads more like someone in their early 20s. To put this politely she is a bit odd, maybe not playing with the full deck of cards. It is never fully explained in the book and I would like an explanation of why she is the way she is, why she has such strange outbursts. She left school at 12 years old and is socially isolated and socially inept so this explains some of her odd ways but not all of them. Laura leaves the island to work for a wealthy couple on the mainland but returns fairly quickly and she is not alone. Fast forward a year; Laura now has a son and finally has someone to love and who loves her back unconditionally. There are a few twists after this and I have to admit I got to like Martin a little better than I previously had. A little, not a lot. And the book took a direction that I wasn’t expecting and left me shell shocked. The island folk are like a collective main character in Little Beauty, they are complex and difficult to figure out. They at times shun Laura and at others are there for her. As an outsider looking it, this is hard to understand however it does have a ring of truth about it. Clannish, gossipy, judgemental, superstitious but still at other times present and willing to do whatever needs to be done. They are a mass of contradictions and made for interesting reading. The overall feel I got from this book was sadness, there was a lack of hope in every direction I looked. What happened Laura’s son broke my heart and I have no idea if it was necessary or not as I don’t know what Laura’s problem (if any) really was. The only joy in the book came from Laura’s love for her son and also from the love of dancing that her employers on the mainland have. However there is humour in the book with its distinctively Irish sayings and twist of phrases that made me smile. Alison Jameson does an amazing job of evoking emotion, I read the last 20% of the book with a lump in my throat and a mist in my eyes. I realised that even though I thought I hadn’t connected with the characters that I had, they had somehow wormed their way into my heart. So I think this book is a slow build but it does sweep you along with it. I absolutely loved this book! I have read some great Irish novels this year, but this one takes the biscuit! Alison Jameson has a very unique way of writing and I thought she wrote beautifully. The descriptions she used to describe a characters emotions and feelings really got to the core of the characters and I could picture everything so well. I really liked the main character Laura. A lonely lady outcast by her small knit community on the island of Inis Miol Mor because of her Mother's suicide I absolutely loved this book! I have read some great Irish novels this year, but this one takes the biscuit! I really liked the main character Laura. A lonely lady outcast by her small knit community on the island of Inis Miol Mor because of her Mother's suicide and their house facing the sea (which was considered to be bad luck). They thought that Laura was odd, but I thought that she actually had her head screwed on better than most people in the book. I think she came across as odd due to the lack of interactivity with other people, and she let her true emotions show on the surface (what a lot of us tend to hide) and I think this was partly what made her appear mad to the islanders. She was also written as if she was a lot younger than her 38 year old self, but this made sense to me as she had to look after herself from a very young age. Martin was an unusual character. I went from disliking him to liking him and back again. At first he appears to just use Laura to sleep with her and I hated how sexist he was at times. But when Laura goes to the mainland Martin ends up following her. I think Martin's heart was in the right place but he let society rule him at times.. When Laura has her baby, for the first time she realises that someone actually loves her and this made me feel incredibly sad that she had to wait all this time to feel like that. Despite how she had the baby, I felt like Laura had found what she was looking for in life and was so happy for her. So when Audrey and Finn (her employers) did what they did, I absolutely hated them for it! In my eyes it was unforgivable and it broke my heart for Laura. I really liked them at first, and believe that they greatly used Laura in their own ways. Although this novel was sad, it did actually have some dark humour in it that made me laugh. A lot of this humour came from the character of Laura, which is what made me think that she was not as odd as the islanders and Audrey and Finn made her out to be. This was an extremely emotive and thought-provoking novel, that although sad, was written so well that I just could not put it down. I will definitely be reading more from Alison Jameson. Jameson drew on her upbringing on a remote farm in rural Ireland to create this bittersweet story of belonging and betrayal. Her canny use of local vernacular gives the book a touch of the Irish stream-of-consciousness one finds in James Joyce, while the novel’s subject matter and isolated island setting recollect such gems as Margaret Drabble’s The Millstone, Sebastian Barry’s The Secret Scripture, Maggie O’Farrell’s The Hand That First Held Mine and M.L. Stedman’s The Light Between Oceans. J Jameson drew on her upbringing on a remote farm in rural Ireland to create this bittersweet story of belonging and betrayal. Her canny use of local vernacular gives the book a touch of the Irish stream-of-consciousness one finds in James Joyce, while the novel’s subject matter and isolated island setting recollect such gems as Margaret Drabble’s The Millstone, Sebastian Barry’s The Secret Scripture, Maggie O’Farrell’s The Hand That First Held Mine and M.L. Stedman’s The Light Between Oceans. Jameson nearly measures up to the quality of this group of novelists with an emotionally sophisticated portrayal of the joys and grief of motherhood. The cover for Little Beauty is striking and stunning, which is exactly the way I would describe this novel. It’s the powerful story of Laura, made to feel unwelcome and like an outcast, returning home to Ireland, this time with the love of her son Matthew. I loved Laura’s character straight away. Whilst she was being mistreat for her differences, I warmed to her and felt for her. She was lonely and isolated and I really wanted her to pull through. As for the other characters, I was always wary of them and so probably didn’t connect with them much at all. I thought Martin’s character was written so well – his attitude and approach to Laura made me really dislike him at first although my opinion on him did keep changing. I’m not sure if told from any other author, Little Beauty would have had the same impact on me but Alison Jameson’s writing was spectacular. She really told this thought-provoking novel beautifully. I loved her portrayal of Ireland in that era because the culture, sayings and beliefs all felt real and well-researched. Not only was the plot compelling, Jameson’s writing felt believable and I could imagine being there, watching this story unfold myself. Little Beauty was a very emotional, heart-breaking story although I did like the interlaced dark humour too. It was very captivating and incredibly moving - I never really knew how things were going to play out and provided you’re good at reading novels which have you choked up and with a lump in your throat, Little Beauty is a truly unforgettable novel. This book is set in the 1970s where Laura Quinn lives on the remote Island of Inis Miol Mor off the west coast of Ireland. Her father was a fisherman and died when she was young and she has looked after herself since the death of her Mother when Laura was a teenager. She manages to make a living by collecting the seaweed off the beach near her house and selling it but she leads a lonely and isolated existence with no friends or family and only her boyfriend Martin for company, however he's happy This book is set in the 1970s where Laura Quinn lives on the remote Island of Inis Miol Mor off the west coast of Ireland. Her father was a fisherman and died when she was young and she has looked after herself since the death of her Mother when Laura was a teenager. She manages to make a living by collecting the seaweed off the beach near her house and selling it but she leads a lonely and isolated existence with no friends or family and only her boyfriend Martin for company, however he's happy to sleep with her but won't let her stay the night and doesn't seem keen to commit. She decides enough is enough and takes a housekeeping job working for a wealthy couple, Audrey and Finn Campbell, but she is soon back on the Island where she gives birth to her much loved son Mattie and looks forward to bringing him up but it seems that others have different ideas. Although Laura is in her late thirties she seems more like someone a lot younger, there were several parts in the book where I wanted to shout out to her to stand up for herself a bit more but of course this book is set during a time when peoples opinions on single mothers were different to now, particularly in tight knit communities such as where this is set. Little Beauty is ultimately a heartbreaking but well written book. A book which gets better as you progress into the novel and probably a good one for a book club. The disturbed main character does paint a fairly negative picture of the islanders but it is her perception as they support her through her life. The island is pictured wonderfully. The author bravely explores the risky decision making of Laura and plays out their consequences. This is a book to treasure. A world so perfectly realised, characters so vividly and tenderly brought to life. Beautifully sensual prose. Captivating. Bittersweet very believable portrayal of mad, isolated, judgemental, claustrophobic but also funny and rich island life in1970s Ireland. Such a beautifully written, evocative book. Published by Doubleday Ireland in May 2013. Jameson has created a character destined to become one of the most remembered of literature's tragic heroines. Orphaned at thirteen, an outsider in a close community, able to relate only to other outsiders, Laura is lonely. Her eccentricities, lovingly depicted, are at times hilarious, at times terrifying. She finds fulfillment in motherhood but comes to realise she lacks the wherewithal to provide the life she knows her child deserves. I cannot tell you how she resolves that dilemma without spoi Jameson has created a character destined to become one of the most remembered of literature's tragic heroines. Orphaned at thirteen, an outsider in a close community, able to relate only to other outsiders, Laura is lonely. Her eccentricities, lovingly depicted, are at times hilarious, at times terrifying. She finds fulfillment in motherhood but comes to realise she lacks the wherewithal to provide the life she knows her child deserves. I cannot tell you how she resolves that dilemma without spoiling the story for you. I can tell you that her actions have a profound effect on the other characters. Martin, Finn and Audrey are equally well realised individuals, each with complex problems of their own, equally misunderstood, except by Laura who, like her creator, recognises that none of us is perfect and that true love involves an acceptance of the imperfections in ourselves as well as in others. Jameson has a rare ability to evoke a sense of place unobtrusively so that, long after putting the book down, I can still see, hear and smell Laura's cottage, Martin's lighthouse, and Finn and Audrey's farmhouse as if I had spent a significant period of my life in and around them. Alison Jameson’s novel Little Beauty is set on a remote island community of the West coast of Ireland and she’s chosen the booktrail to launch her blog tour! Little Beauty – inspired b Alison Jameson’s novel Little Beauty is set on a remote island community of the West coast of Ireland and she’s chosen the booktrail to launch her blog tour! 1975: Laura Quinn has spent her life on the remote and beautiful island off the west coast of Ireland. Her parents have died and her lover continues to remain reluctant to commit in any way. Having not had much adult guidance, she is desperate for some independence and a life of her own. So she gets a housekeeping job on the mainland but soon gets entangled in the lives of those she works for. Then she returns to the island and makes a decision that will haunt her for the rest of her life. The book was captivating and endlessly depressing at the same time. Alison Jameson grew up on a farm in rural Ireland, a remote and beautiful place that continues to inspire her work. An English and History graduate of University College Dublin she worked in advertising for many years before becoming a full-time writer. Home is Dublin where she lives with her husband and son.